What makes you such a successful communicator? First, I am a wine soldier ! 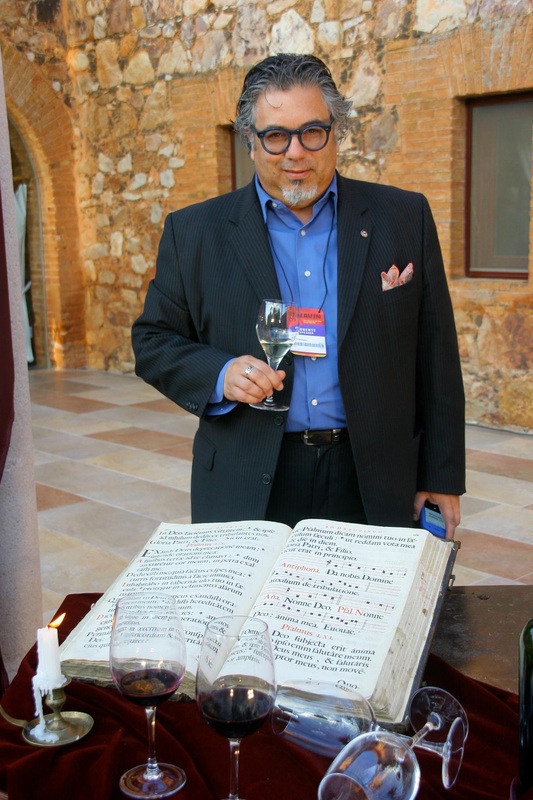 !….Here I think the question should be what makes me a different communicator, because I am different – when I’m talking about wine, I’ll talk about every aspect of it. I’ve been travelling since I was 19, and have been around the wine world with four ( today) different passports. When I introduce someone to a wine for the first time, I need to let them know why a certain indigenous grape is like that. If you don’t know the region, its history, then you can’t know the wine. Every sip of wine is a sip of history! What originally drew you to wine? It started by mistake – while I was growing up my father ran a bar ( bocce Court) in the community club. It was the place that everyone gathered. I was in charge of putting wine on the table, so the smell of wine has been with me since I was five! Years old! !…..Also, the smell of wine barrels and the Nebbiolo grapes growing in the vineyards all around my hometown Montevideo . A smell that was always present in my childhood. Then I left Uruguay very young to Spain. Then at 23, I worked for Cunard Cruiseliner , and as I spoke Portuguese, I was sent out to buy more wine when we ran out one day. The cruise liner made lots of money on that trip as everyone was drinking the wines I selected. I’ve now been going for 28 years – speaking, breathing, not to mention drinking, wine! 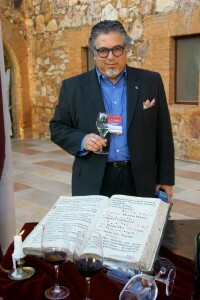 In South America, I’m viewed as the “grandpa” of sommeliers, since I’ve been on the scene for so long! What are the major differences in wine appreciation across the countries you have visited? In France, there’s a poetic attitude to wine – they love it. In Portugal, it’s more serious, and is all about how far back you can go. Brazil is the same, where the ancestral roots are important. The Italians like a combination of everything, with a specific emphasis on history. This is because of their ancestry – the Romans are the first ones who planted grapes thru the Mediterranean in many countries, and that heritage is important to them. In Spain, there’s an emphasis on the technical element as they find that shows the seriousness of the industry and so they expect that slant, which can be difficult. In the US, it’s a mix of everything, it’s fun. There are smiles, laughter, and you come across with a good wine message. Informative is the word. How excited are you by the wine developments in your home country? I only know few wine producers It’s only been in the last 10-15 years that they’ve been talking about Tannat, especially in Uruguay, but it’s older. It was brought over by Pascual Harriague in the 19th century. He was a Basque immigrant who brought the grape to Uruguay. Some producers to watch. There are some in the north of the country but they come and go, ( distribution wise in the U.S.) as there are usually financial problems, but it seems that they are finally getting settled and many more labels are seen. . Argentine wine is big there, and there’s also a willingness to put Tannat back on the map. As a child, I knew about it, and I knew that it came from Basque roots. My surname, Arturaola, is Basque, so I like to defend and support my roots! 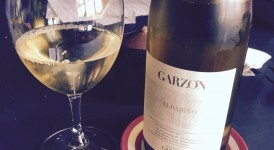 There are strong links between the Basque country and viticulture in South America. Also in Argentina and Chile. My recommendations; the new comer Bouza, Preludio from Juanico Winery and the Amat from the Carrau family is one of the best Tannats I have ever had. What are the next projects in the pipeline? I’m carrying on my consultancy with Grappolo Blu Inc and working on some film and TV projects, so watch this space.